Construction work is to kick off shortly on the Seventh-day Adventist Church’s first multipurpose conference center in India — a three-floor facility that church leaders say will simplify the process of organizing major gatherings and excited local schoolchildren say will allow them to invite non-Adventist friends to church. The Pioneer Memorial Discipleship Training Center will house a meeting hall, smaller seminar rooms, a cafeteria, and guestrooms on the sprawling compound of the church’s South Andhra Section in Ibrahimpatnam, a town located just outside Vijayawada, the capital of India’s central Andhra Pradesh state. It will be available to people throughout the Southern Asia Division, whose territory includes India, said Vara Prasad Jacob, president of the South Andhra Section. He emphasized that the facility would provide three amenities under one roof: a meeting hall with 1,000 seats, guestrooms, and a dining area. Currently, church leaders and lay members typically have to travel between hotels, conference halls, and restaurants when they meet for training sessions and other events. Construction costs for the first two floors of the 50 million-rupee ($730,000) building are being covered by Manzoor Massey, an Indian immigrant and Adventist lay member in Loma Linda, California, Jacob said. Those two floors are to be completed by late October 2017, when the Southern Asia Division intends to direct a portion of the 13th Sabbath Offering collected that month toward the construction of the third floor with guestrooms. 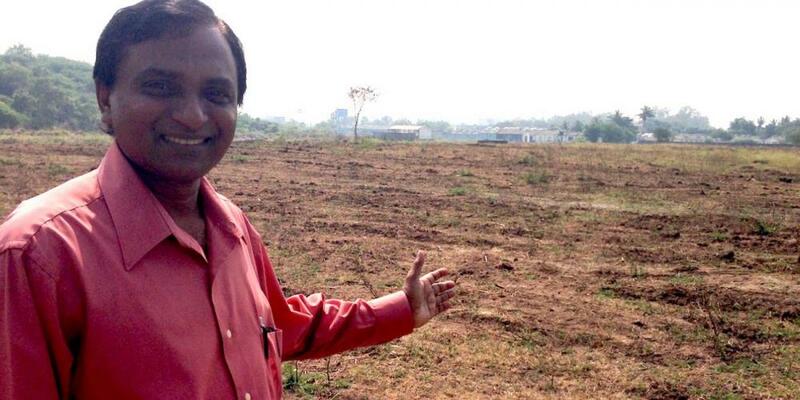 The 6,000-square-foot (557-square-meter) Pioneer Memorial Discipleship Training Center is among five projects in India that will be recipients of the 13th Sabbath Offering in third quarter 2017. 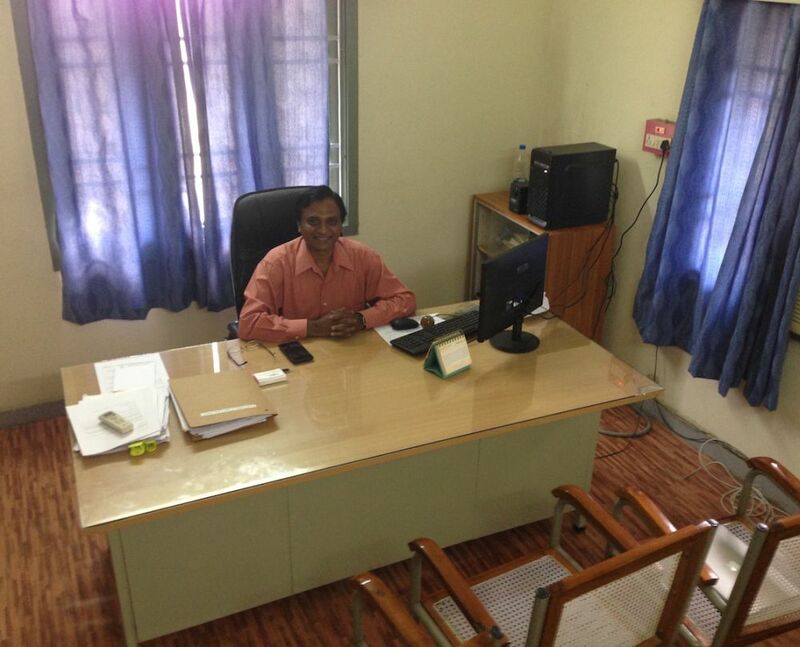 Vara Prasad Jacob working in his office on the compound of the South Andhra Section. 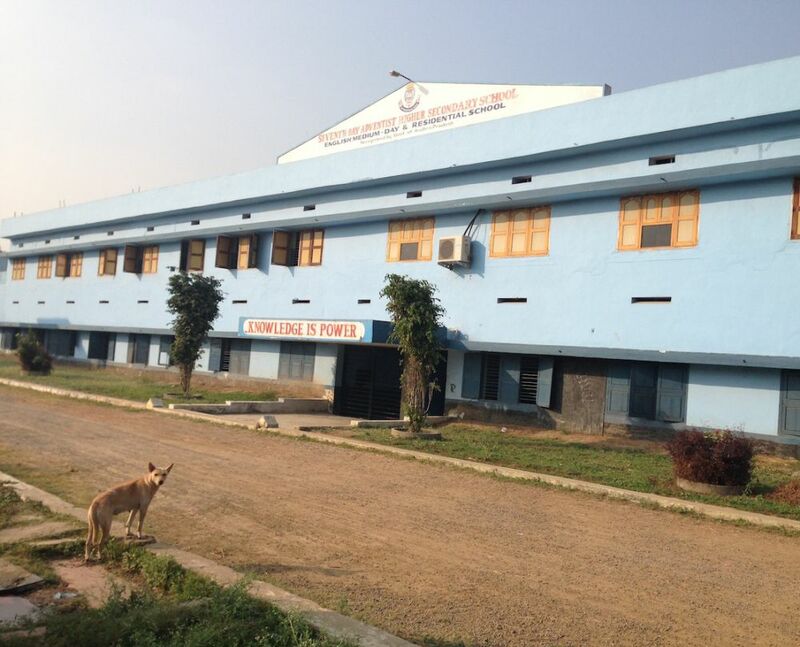 The Ibrahimpatnam Adventist School, whose 700 mostly Adventist students include 450 living in dormitories. The name of the training center commemorates the first missionaries — the first generation of Indian Adventists — who entered the region about a century ago. He said the location was ideal for the training center. The South Andhra Section’s compound covers 60 acres (24 hectares) in a part of India that is relatively open to Christianity. In addition, he said, the compound is easily accessible by bus, train, and airplane. It is located about an hour’s drive from the fast-growing airport in Vijayawada, a city of about 1 million people that was named as capital when India formed Andhra Pradesh as a new state in 2015. The church’s plan is to offer a training center open year-round to everyone. But perhaps children at the K-12 school situated on the compound are among those most eager welcome the training center. The Ibrahimpatnam Seventh-day Adventist School — whose 700 mostly Adventist students include 450 living in dormitories — lacks a church building large enough to contain all the children. The compound’s church building seats only 250 people, and a similar number can squeeze into the school’s cafeteria on Sabbaths and for weekday worship meetings. The training center would have room for all the children to worship together. “I want to worship together,” said John Marapaka, 16, who has lived and studied at the school since first grade. Marapaka, now in the 10th grade, credits the school for the baptism of his father in 2013 and his own baptism in 2015. He said he shared what he learned at school during his visits home. He was echoed by Vinutna Methri, 17, who said the size of the small church prevents students from joining the school choir. Methri, a 12th grader who sings in the choir, said only 35 students participate, but the choir director had been forced to turn away about 25 others. Syrian Refugee Children Warm Hearts at Tent Camp in Middle East Children from the Adventist Learning Center bring clothing and food to the camp in Lebanon. Healing and Teaching The Seventh-day Adventist Church began as a church planting movement and it has only continued to grow as it has continued to focus on starting new groups of believers. On today's program we will be looking at church planting.